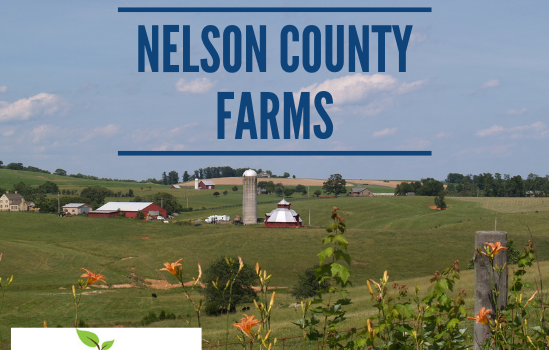 Nelson County, VA farm listings are dispersed evenly in size, ranging from small farms under 50 acres, mid-size farms between 50 and 100 acres, and large farms over 100 acres. Small and large farms do have a few more active and sold listings than mid-size farms. At year end, there were seven total active small farm listings with a total of seven sales in the past twelve months. There were eight active listings for large farms with four sales in the past year. Mid-size farms saw the least amount of market activity with just 3 listings and two sales in the last twelve months. Small farms in Nelson County are mostly selling for under $1 million in price, with a few priced under $2 million. Large-sized farms are running the spectrum of sold prices from under $500K to over $2 million. Knowing the current conditions of the local real estate market is the first step when preparing to buy or sell a farm. 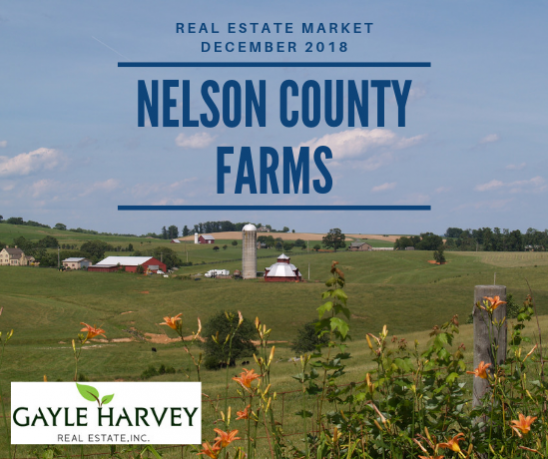 If you have questions about how the market conditions can impact your upcoming farm purchase or sale in Nelson County or any part of Central Virginia, I would love to answer them for you and help guide you through the process. Contact me, Gayle Harvey, at Gayle@GayleHarveyRealEstate.com or 434-220-0256. 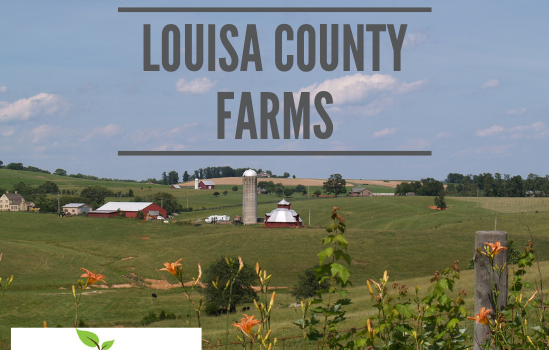 The majority of farms listed and sold in Louisa County are small farms, between 21-50 acres. 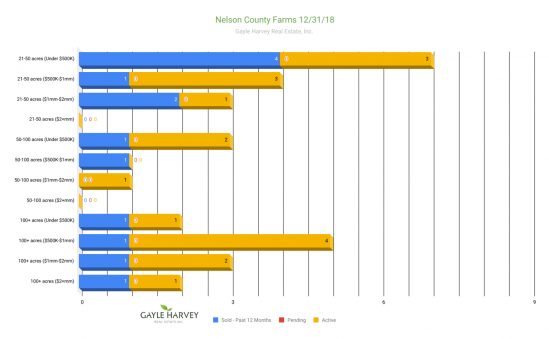 At year end, there were four active listings, two pending sales, and six sales in the past twelve months for small farms. Most of the farms of this size are listed and sold at under $500,000, with a handful reaching into the $500K to $1 million price range. There are just a few mid-size farms, 50-100 acres, to be found in Louisa County. In the past year, there have been three sales, all for under $500,000 in price. At year end there were no active listings or pending sales for mid-size farms. 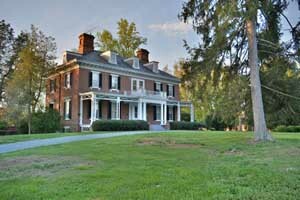 Large farms in Louisa County, over 100 acres, vary in price from $500K to over $2 million. 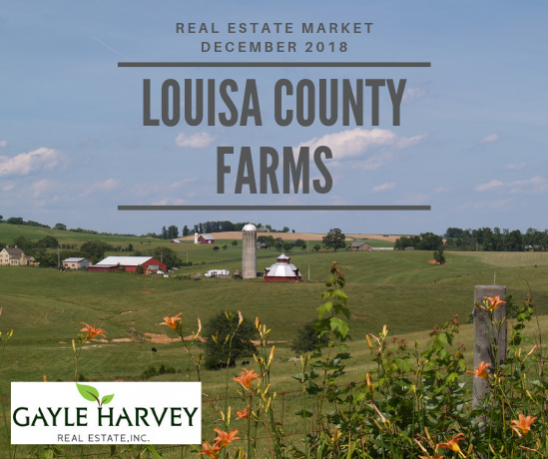 Right now, there is only one active listing for a large farm in Louisa County, with no pending sales and four total sales in the past year. It’s a good idea to keep an eye on the real estate market when you are planning to buy or sell a farm. If you’re wondering which key factors to pay attention to and how that impacts your decision making, I would love to talk with you and help answer any questions. Contact me, Gayle Harvey, at Gayle@GayleHarveyRealEstate.com or 434-220-0256. 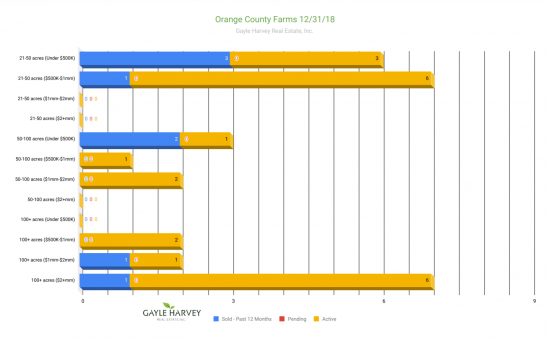 At year end, there were a total of 22 active listings for farms for sale in Orange County, with zero pending sales and just 8 sales in total for the past 12 months. Farms priced under $500K saw the majority of the sales activity for the year. Mid-size farms, between 50 and 100 acres, and small farms of 21 to 50 acres, priced under $500K, accounted for five of the eight sales for the year. 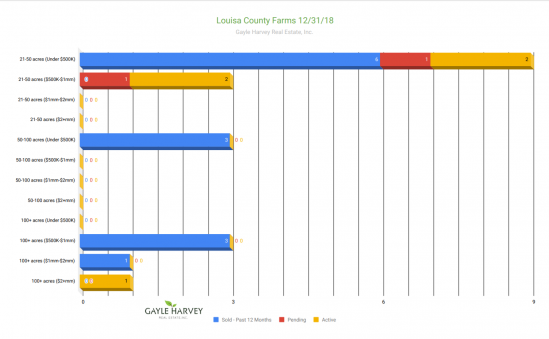 There are currently active listings for six large farms, over 100 acres, priced over $2 million, with only one sale in the past year for this size and price range. There are also six active listings for small farms priced between $500K and $1 million, again with only one sale for the past year for this price range and size. 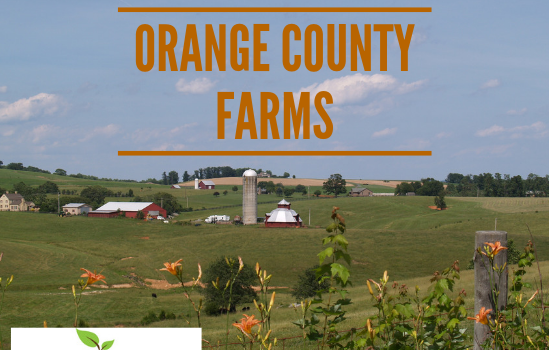 The market right now suggests that most buyers are looking for the lower-priced farms in Orange County. This is the time for sellers of farms to make sure they are spot-on with their pricing, strategy and marketing efforts. 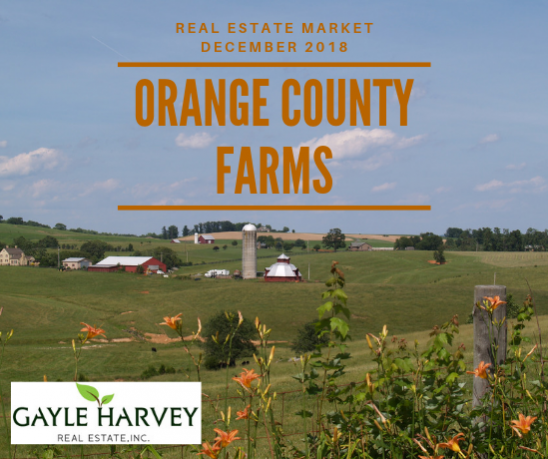 As a local Central Virginia real estate broker who has lived and worked on a farm, and who has the real estate knowledgeable and expertise to guide you through a successful farm sale, I would consider it a privilege to work with you as a resource and guide during the sale of your Orange County farm. It’s important to me to go the extra mile for my clients and always keep you up-to-date about your farm sale. If you have any questions about real estate, the market or available listings, please reach out to me! 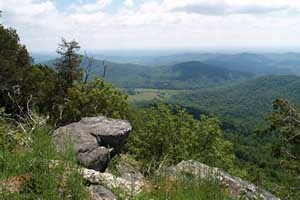 Gayle Harvey, at Gayle@GayleHarveyRealEstate.com or 434-220-0256.